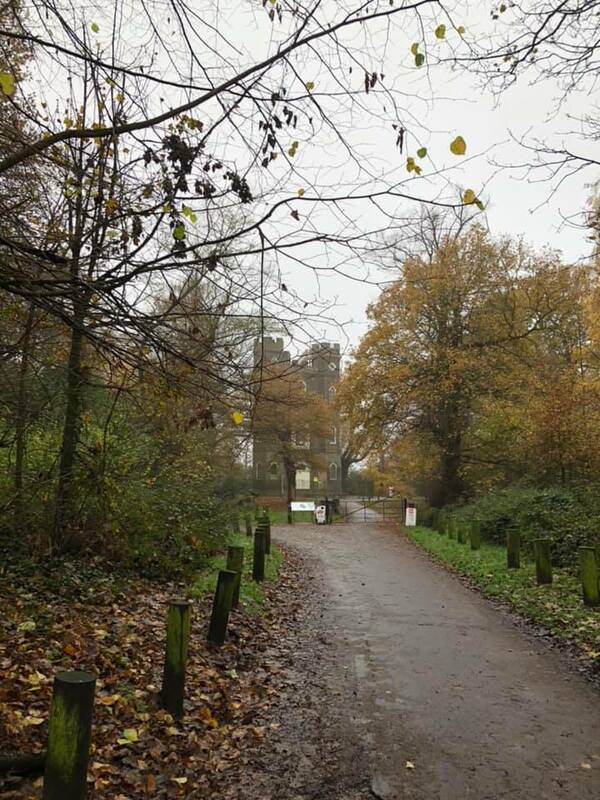 On 28 November, Catford Thundercats played its away match to Frindsbury Extra and won 2–0. The first game was won on double 1, thrown by Caroline. The second game came down to needing 65 to win. Sue B threw 15, which meant a bull’s-eye was needed to win the match. To everyone’s joy, Sue B hit the bull’s-eye with her third dart. What a finish! Thank you to Frinsbury Extra for hosting the match. For our November monthly meeting, Jean H taught us how to make beautiful paper baskets, ideal for holding gifts – especially with Christmas fast approaching – or as a decoration. Thanks very much to Jean and her helpers for making the evening a great success. On 31 October, Ightham WI darts team hosted a first-round match with Catford Sweet Peas. It was a close competition but Catford Sweet Peas won the match 2–1. Well done Linda for getting the double needed in the second game and Kay for getting the double in the final game. An good evening of tenpin bowling was had on 15 October. Scores of 100 or over were achieved by quite a few of the members. Another group of members, friends and family enjoyed a great afternoon of crossbow shooting at the Harris Academy. Again, thank you to Alan at Target Sports World for teaching us. Members of Catford WI were given a private guided tour of the Natural History Museum on 12 October. The Natural History Museum cares for more than 80 million specimens spanning billions of years and aims to use its unique collections and unrivalled expertise to tackle the biggest challenges facing the world today. A big thank you to Alex Hetherington for giving us such an interesting tour. 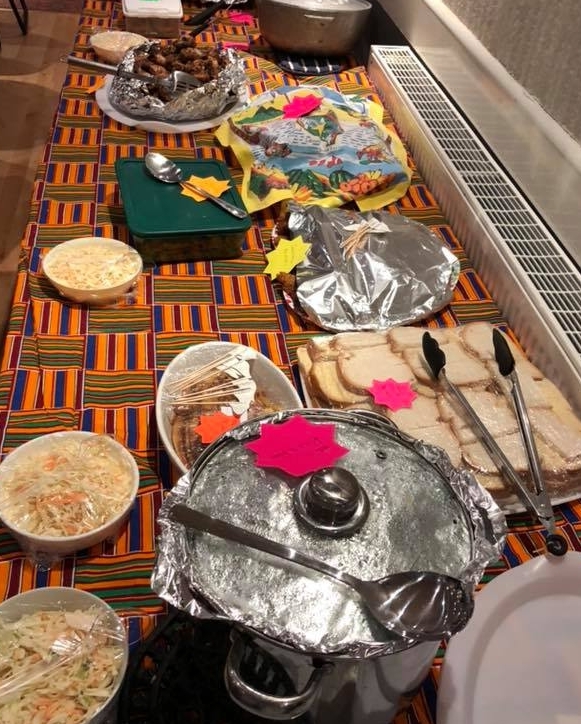 For our October monthly meeting, a group of Catford WI members prepared a delicious variety of savoury and sweet West Indian dishes for us to taste. A big thank you to Sue H and her team for their hard work in preparing these dishes. 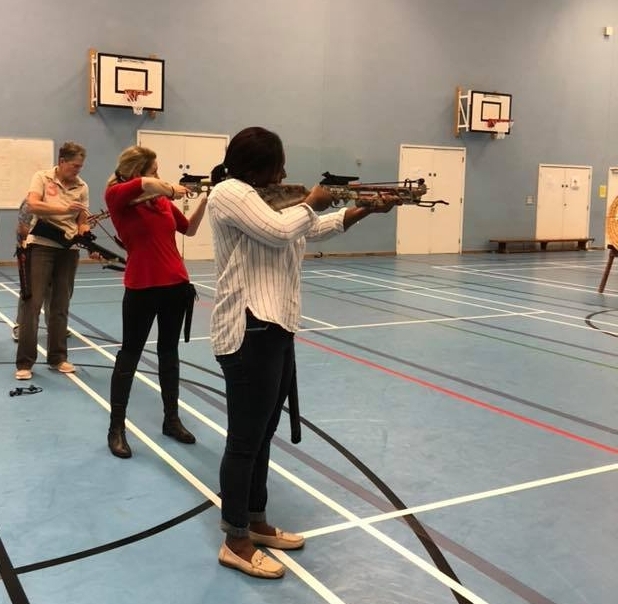 On 6 October, a group of members, friends and family had the opportunity to try crossbow shooting at the Harris Academy. A great time was had by all and quite a few centres were hit. A big thank you to Alan at Target Sports World for teaching us. A great day of archery was had on 22 September at Bromley Archery Club. Both morning and afternoon sessions were well attended and even the rainy weather couldn’t dampen our spirits. Phoenix got the highest score in the morning session and Kay in the afternoon session. Catford Sweet Peas played their first match in the 2018/19 West Kent Federation Darts Tournament against Downe on 18 September. Downe won the first game, Sue H got the winning double in the second game, so it was all to play for in the third and final game. Downe got the winning double and took the match 2–1. It was a good night of darts and lovely meeting the ladies of Downe WI darts team. 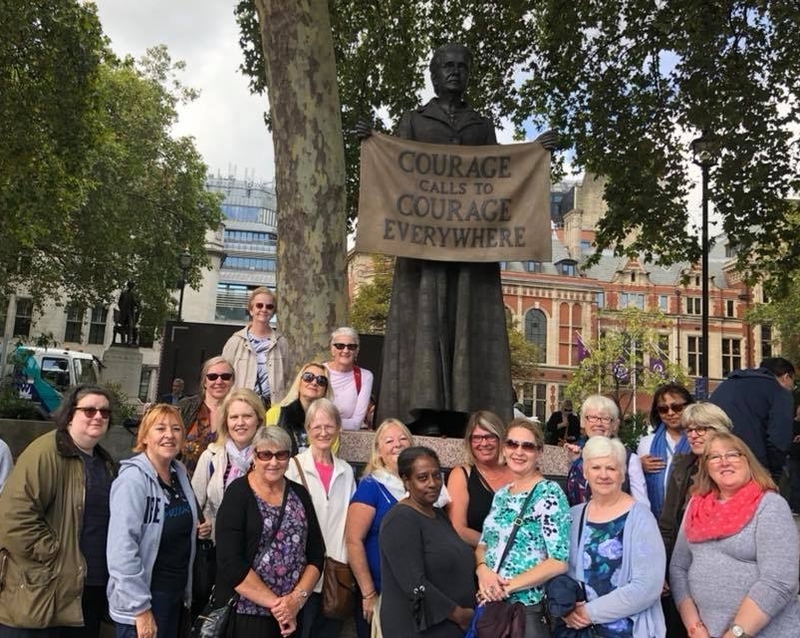 On 15 September, Kate Boyle led us around Parliament Square on a guided walk about the suffragettes. On 7 September, a group of members, family and friends took part in an evening walk from London Bridge to The Globe Theatre, taking in the history of women along Bankside over the centuries. The evening was rounded off with a well-deserved supper at the Anchor Pub, Bankside. 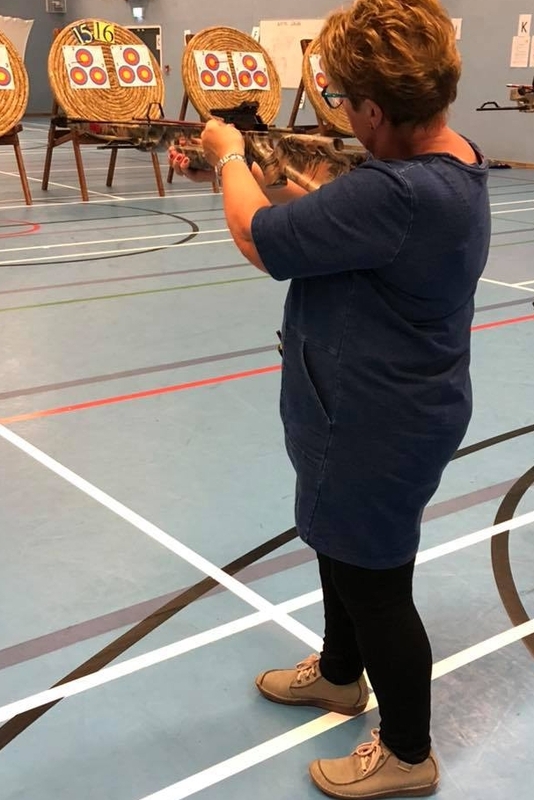 We were delighted to welcome Freya Rodger to our July meeting for a talk about the Freyathlon, her attempt to try her hand at every Olympic sport that women were competing in at the Rio 2016 Olympic Games. Freya explained how, in the wake of her treatment for non-Hodgkin lymphoma and her efforts to rebuild her health and fitness, she set herself the challenge to have a go at over one hundred sporting events, both individual and team, in sixteen months, with her goal to complete the challenge by the Olympic's Closing Ceremony in August 2016. It was fascinating to learn about just a few of the sports she enjoyed discovering, including beach volleyball, synchronised swimming, archery and BMX racing, and the challenges she had to overcome, such as her fear of the diving board. In summary, it was wonderful to hear Freya talk so positively about the benefits of challenging yourself to try new things (perhaps things that are completely outside your comfort zone), meeting new people, and improving your health and fitness. For more information about Freya's story, visit www.freyathlon.com. 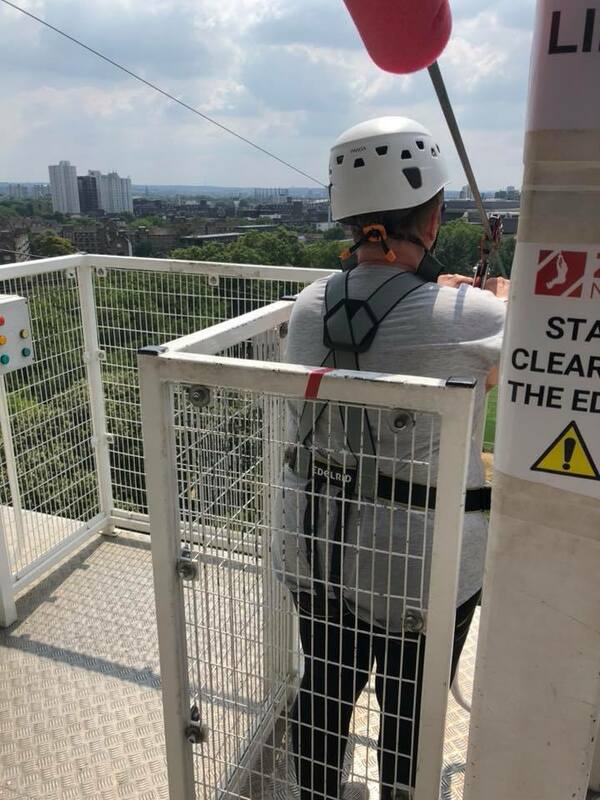 On 7 July a group of members and friends ascended 60 feet to take a closer look at the ceiling in the Painted Hall at the Old Royal Naval College in Greenwich. Everyone enjoyed the chance to examine the artwork at close quarters and learn a little more about the spectacular wall and ceiling decoration and its restoration.